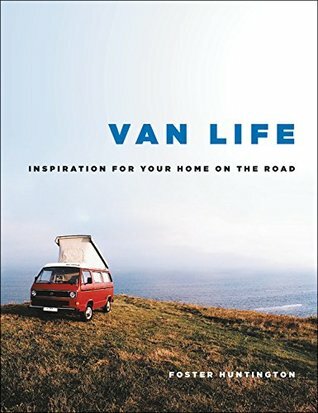 Showcasing hundreds of gorgeous and inspirational photographs of vehicles in idyllic settings with unique, quirky interiors from around the world, Van Life who anyone daydreams about living off-the-grid while on the ultimate road trip. More and more people-from millennials to baby boomers-are taking a break from conventional life for the freedom, tranquility, and adventure of being on the road and living in a converted vintage truck, camper, or van. One of these van-dwellers, Foster Huntington, created the #vanlife hashtag as he chronicled his adventures living in a van while driving it across the country. He tapped into a community of like-minded individuals looking to explore nature at their own pace and live a debt-free lifestyle. Van Life showcases the best crowd-sourced photographs from Foster’s tumblr account, van-life.net, many of which have never been posted. Organized into sections like Volkswagen vans, American vans, converted vans, school buses, and more, the hundreds of photos include shots of the unique vehicles, the beautiful locations they’ve been parked including stunning beaches, dramatic mountains and picturesque forests, fully designed interiors with kitchens and sleeping quarters, and more. Also included are interviews with solo travelers, couples, and families who are living this new American dream. This book was beautiful and I think it served it’s purpose well. There wasn’t a ton of information throughout the book actually talking about van life, but there were a lot of beautiful photos that really inspired me to want to take the leap towards van life. If you saw my last review (Zero Waste) I mentioned there that I have been getting more and more interested in the idea of minimalism and zero waste. Included in that short list is also van conversions. This has been a more recent obsession, but I love the idea of using this vehicle as a home for traveling. I’m so fortunate to be living in the middle of the US, so it’s fairly easy to go any direction, so I think van life would be a wonderful option for me. I love traveling, and I think this would be an interesting way to travel, even if it’s just for a few weeks or months at a time. I’m just inspired even more to travel, but alas. I’m stuck in one city because of college for the time being. Soon, though. Maybe this summer will consist of at least one road trip.